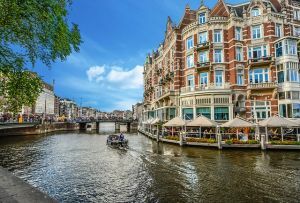 A new report published by Circl Economy, TNO and the City of Amsterdam, presents ‘a vision and action agenda for the circular city’ taking the city of Amsterdam as example. The report zooms in on two key areas in which the city has direct impact on circularity: The construction value chain and organic waste. It presents a set of action points for both of these areas that help to establish a circular production and consumption model on the city level. The report highlights the importance of innovation in the soil, road, and construction sector – a sector that thus far has not achieved much attention in terms of circular development but which bears great potential due to large volumes as well the direct influence that many local governments can exert in this regard – through regulation as well as circular procurement. Innovation procurement processes challenging the market to for example redesign existing buildings or develop new products from used materials are a key tool for public authorities in this regard. Further information on circular procurement can also be found in this guide, published by the European Commission and authored by ICLEI. For more information about Circular Amsterdam click here. The Paris Agreement which was adopted by the United Nations (UN) member states in 2015 aims for global climate neutrality in the second half of this century – and it is widely recognized that national governments alone cannot achieve this objective. 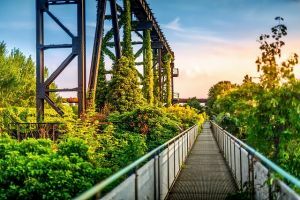 This past June, at the ICLEI World Congress in Montréal, ICLEI issued a call to action targeting local and regional governments. The ICLEI Montréal Commitment calls on local and regional governments to aim for 100 percent renewable energy and divest from fossil fuels to achieve climate neutral government operations and infrastructure. The commitment stresses local and regional governments' leadership role in deploying ambitious policies, concepts, actions and technologies to achieve neutrality. To assist local authorities in achieving this goal, ICLEI developed a simple 4 step path toward climate neutrality. Starting with government operations and infrasturcture, public bodies can procure 100% renewable energy as well as sustainable goods and services. As a second step, public funds can be divested from fossil intensive industries and other unsustainable practices and as a third step reinvested in ambitious mitigation and adaptation activities which include innovative and strategic procurement. And finally, emissions that cannot be reduced with these measures can be offset using UN recognized carbon offsetting mechanisms. Ways in which local governments can achieve climate neutrality were also an important result of the SPP regions project, supporting public authorities in using sustainable procurement (SPP) strategically to achieve climate targets. More resources on SPP stretgies that reduce CO2 emissions can be found in the resource centre and the SPP regions website. The City of Ghent (Belgium) was recently announced as a shortlisted candidate for the 2018 Transformative Action Award. From a strong field of 40 applications, Ghent was shortlisted for seeking to transform the city’s local food system. Through participative governance models, including a food policy council, Ghent’s food policy has moved from launching small-scale initiatives to bringing structural change to the food system. 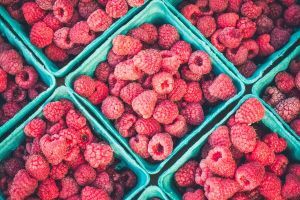 It is decreasing food waste, making food procurement more sustainable, scaling up short food supply chains and improving access to food. 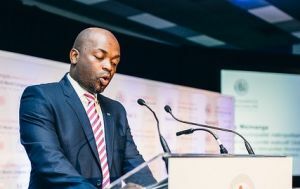 Executive Mayor of Tshwane, South Africa, Solly Msimanga has been announced as the new chair of ICLEI’s Global Lead City Network on Sustainable Procurement (GLCN) at the Global Climate Action Summit. As an early leader in sustainable procurement in Africa, the City of Tshwane was an obvious choice to lead in the next phase of the GLCN. Tshwane’s long term strategic vision commits itself to a path of sustainable economic growth decoupled from environmental impacts, and Tshwane has recently set targets to make 40% of the city bus fleet green by 2030, 10% of overall purchases sustainable by 2021, and reach 20% renewable energy at community-scale by 2030. The GLCN is a group of 14 cities from around the globe committed to the implementation of sustainable and innovation procurement. Their goal is to support the transition to a low carbon, resource efficient and socially responsible society. For more information on the GLCN, please click here. 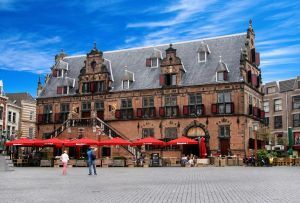 EcoProcura 2018 is proud to announce that it will collaborate with TCO Certified on its 2018 conference on sustainable, circular and innovation procurement, which is taking place 3-5 October in Nijmegen (The Netherlands). TCO Certified is a global sustainability certification for IT products, founded over 25 years ago. It sets criteria on such things as socially responsible manufacturing, environment, user health, safety and ergonomic design. During the conference, TCO Certified will host the Breakout Session, High risk category procurement — increase supply chain sustainability through purchasing. This session will look at current environmental and social supply chain responsibility challenges and how these can be addressed through sustainable procurement. 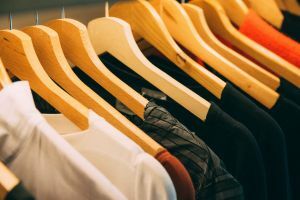 Attendees will gain unique insights into all stages of the product life and supply chain journey, and receive guidance and tools for driving a more circular, responsible approach when purchasing products. EcoProcura participants will also have the opportunity to learn more about and speak directly to TCO Certified staff at their market lounge table and stand in the EcoProcura exhibition area. For more information about EcoProcura and to register before the late fee comes into effect on September 21, click here. The countdown to the 2018 Procura+ Awards ceremony has started, with six public authorities through to the final. Winners will be unveiled at the EcoProcura conference in Nijmegen, the Netherlands. The six finalists have emerged from a strong field of 23 entries across three contest categories: Sustainable Procurement of the Year, Innovation Procurement of the Year, and Procurement Initiative of the Year. The City of Aalborg and Government of Flanders will contest for Sustainable Procurement of the Year. 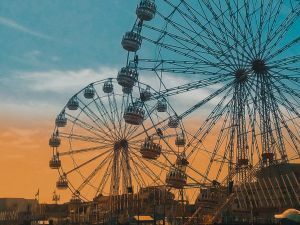 These municipalities have impressed with procurement of circular school furniture for a healthy learning environment and a supply chain influencing procurement of sustainable office supplies, respectively. For Innovation Procurement of the Year, the cities of Cork and Rotterdam will be in competition with each other. Procurement of sustainable and affordable housing through Competitive Dialogue in Cork and innovative transport solutions for special mobility needs in Rotterdam have taken the two cities to the final. Finally, the Procurement Initiative of the Year will be chosen from Barcelona City Council and Transport for London. 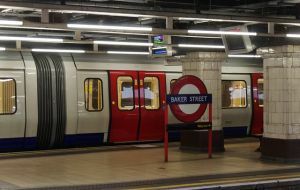 Barcelona introduced city-wide compulsory sustainable procurement, whilst Transport for London successfully implemented a supplier skills programme. This year’s jury, chaired by Mark Hidson, Global Director of ICLEI’s Procurement Centre, was further comprised of high-level representatives with vast experience in procurement practice and policy making. Image copyright: Image (pixabay.com) by "kandhalkeshvala"
Public services across London (United Kingdom) are collaborating to improve responsible procurement because of a mayoral initiative to increase the social benefits from the city’s procurement spend. For this initiative, Transport for London (TfL) has put together a team that supports responsible procurement across the city’s public bodies, including the London Fire Brigade and London Ambulance Service among others. This team, the Greater London Authority (GLA) Group Responsible Procurement Policy, is located within TfL with team members in all involved bodies. TfL's head of the Strategy, Performance and Governance team David Wylie names a range of benefits that this approach has brought to all organisations involved. Among others, it has established a coherent social procurement strategy and has allowed procurers to share best practices across organisations. Wylie points out that especially smaller organisations now have the opportunity to tap into the experience of their peers and this way manage to achieve social objectives through their procurement. These objectives range from general ethics in the supply chain including combating modern slavery to creating job opportunities and apprenticeships. The GLA Group Responsible Procurement Policy’s head Tim Rudin will also introduce London’s procurement strategy at this year’s EcoProcura conference (3 – 5 October, Nijmegen, the Netherlands) during the breakout session on supporting local economies and communities through social procurement. For more information about this session go here. ICLEI Europe has also published a case study on TfL, which can be found here.